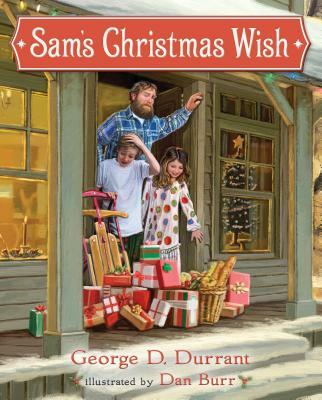 George D. Durrant was born and raised in American Fork, Utah. He graduated from Brigham Young University and became a full-time educator. He is a master storyteller and loves telling stories to his eight children, thirty-four grandchildren, and fifteen great-grandchildren. He and his wife live in Utah. Dan Burr earned his bachelor of fine arts degree from Utah State University and a master's degree in illustration from Syracuse University. He and his family and numerous farm animals live in Tetonia, Idaho. Dan is a well-known Christian illustrator who also specializes in wildlife renderings. Dan has illustrated The Miracle of the Wooden Shoes, I Heard the Bells on Christmas Day, and The Mansion.